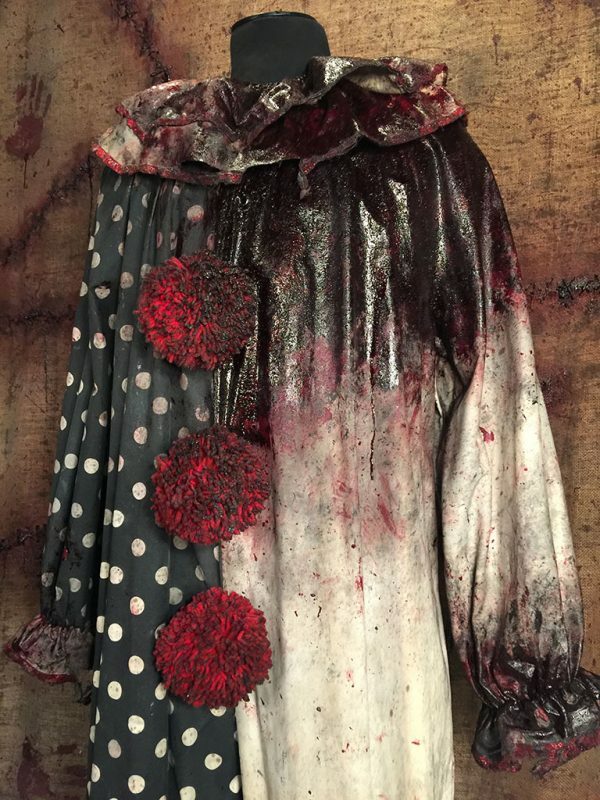 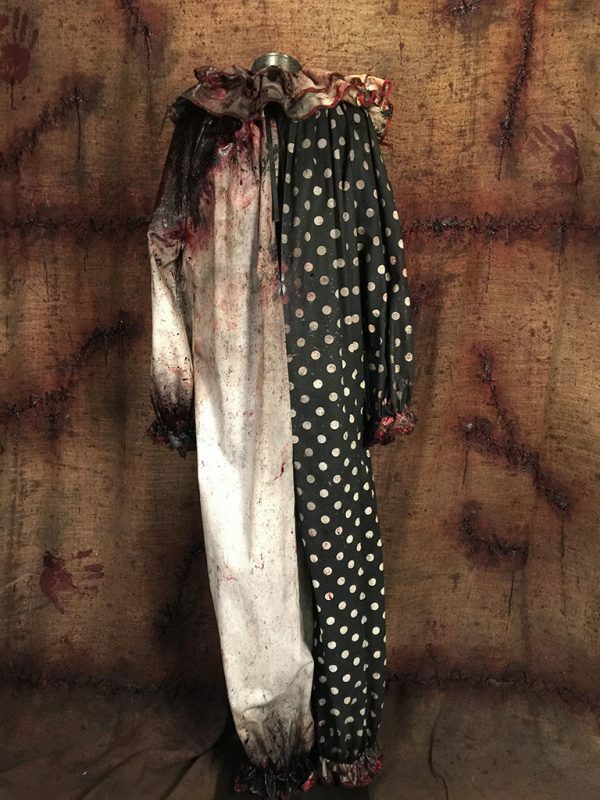 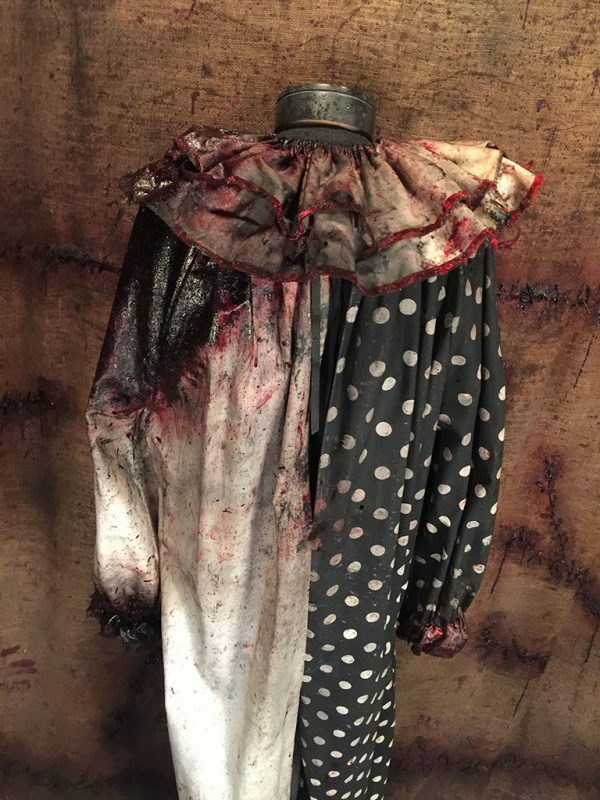 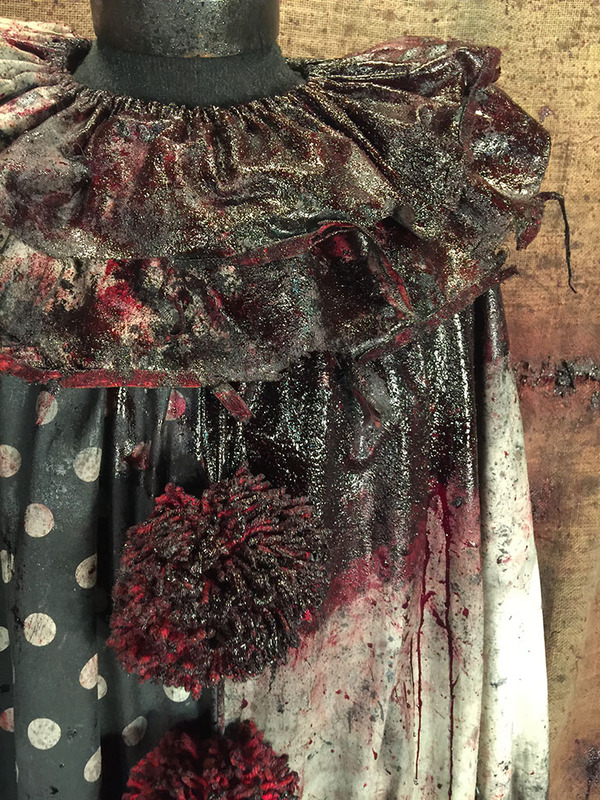 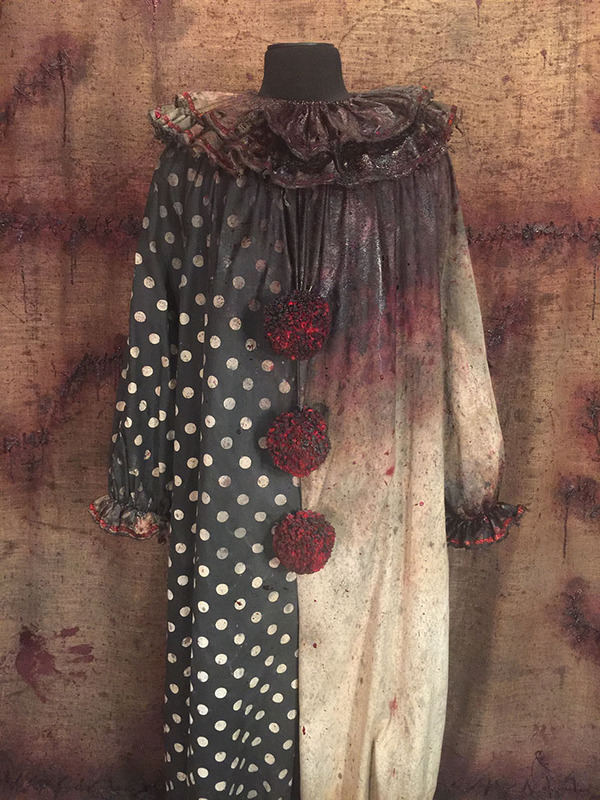 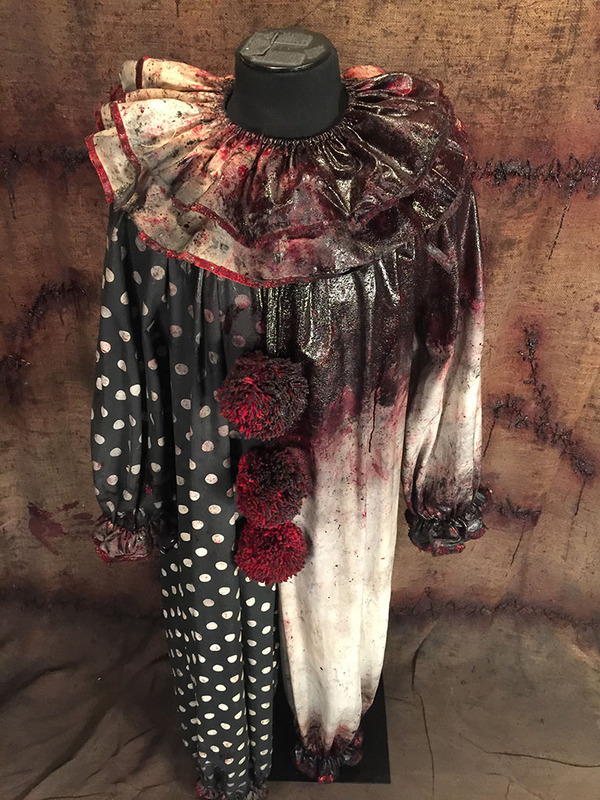 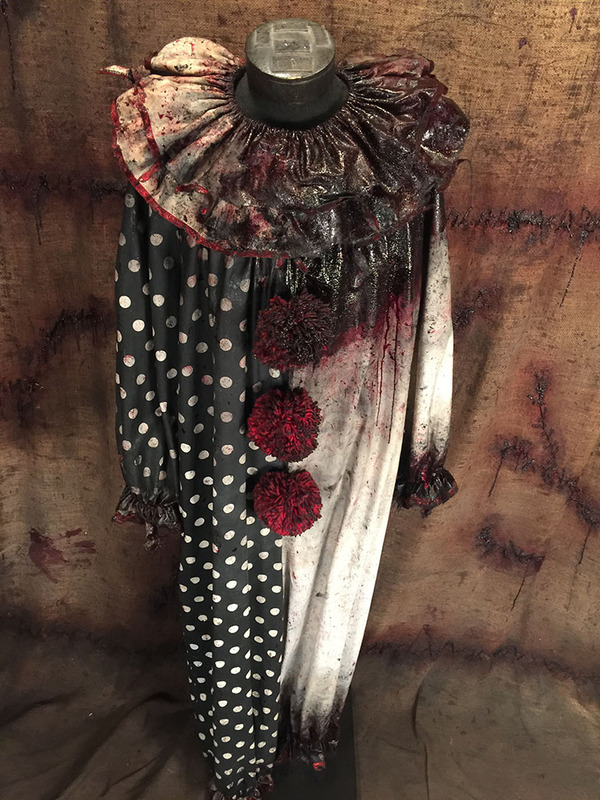 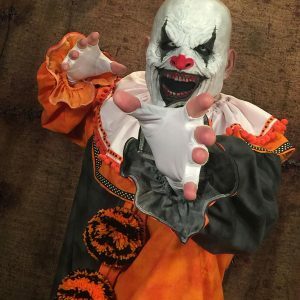 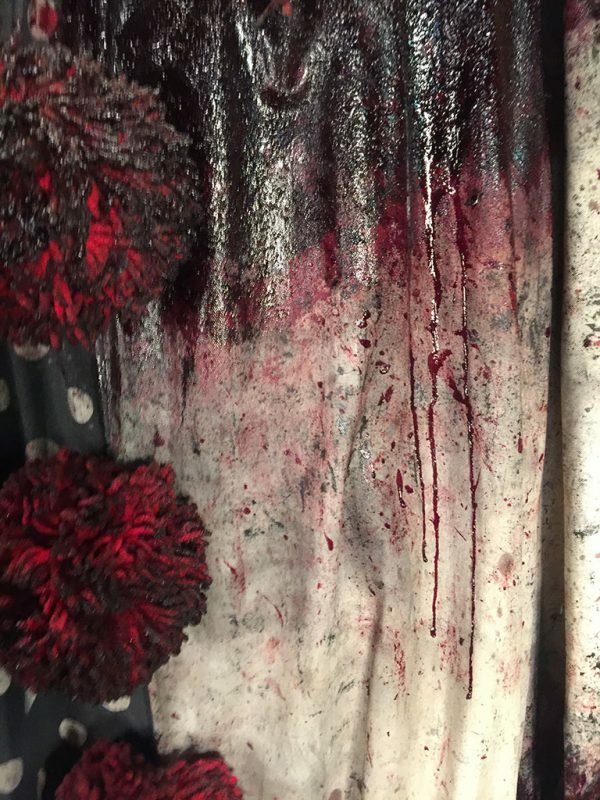 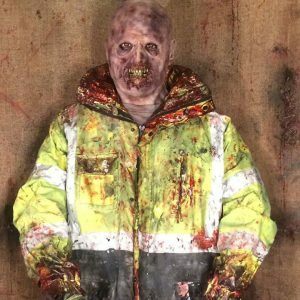 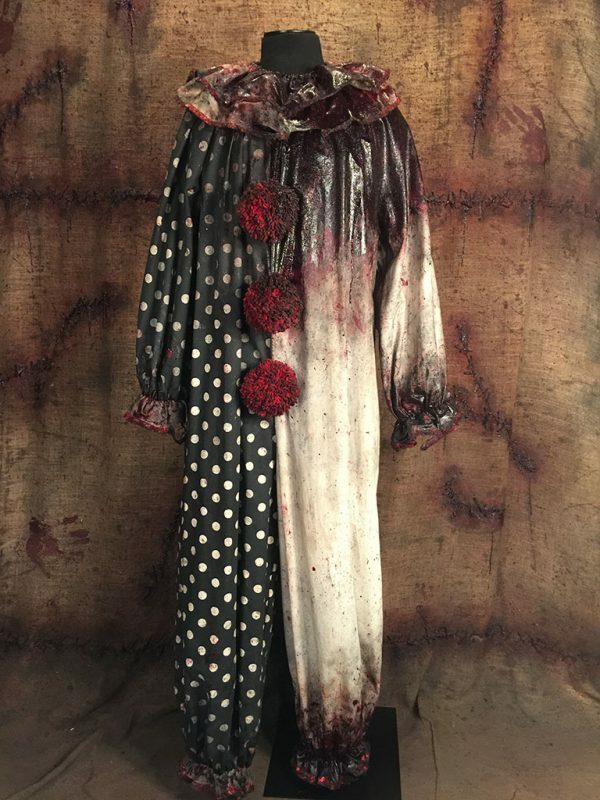 “Mendez the Burnt Clown” comes with a fully distressed burnt and singed jumpsuit including heavy blood FX on the suit and collar. 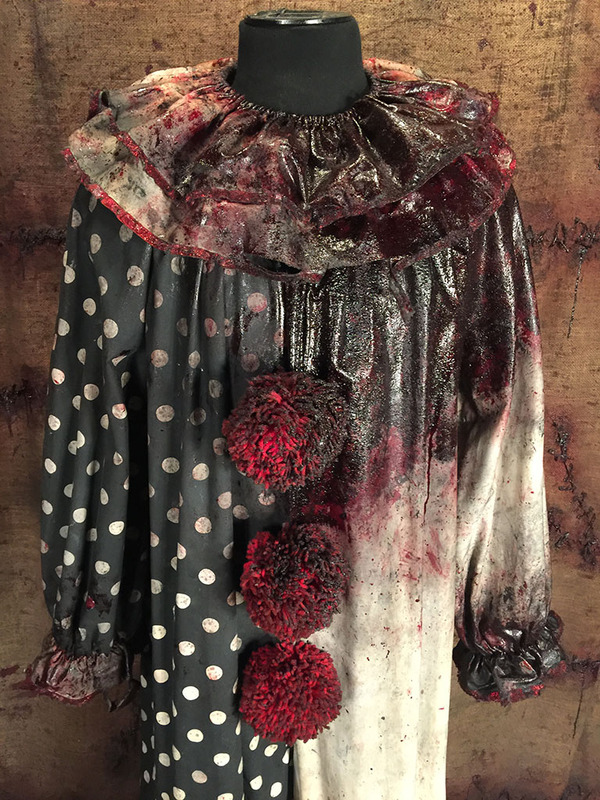 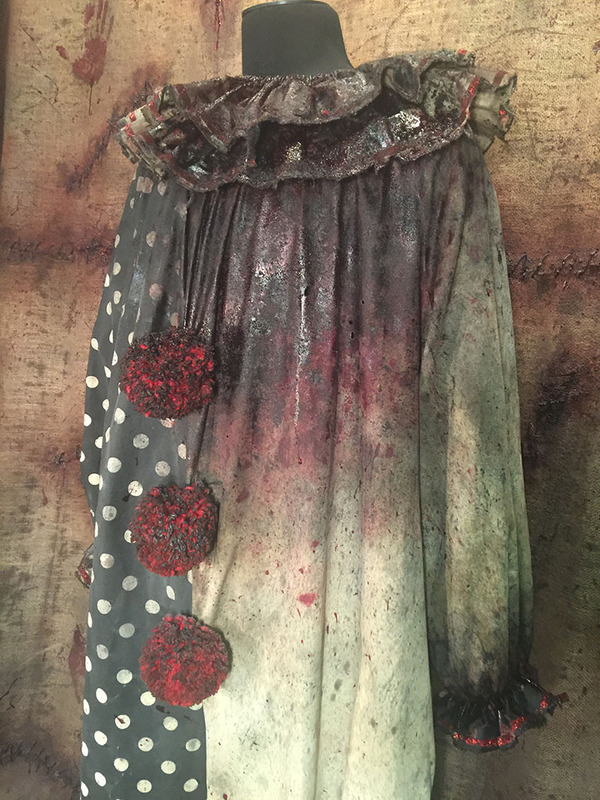 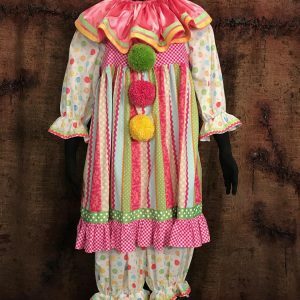 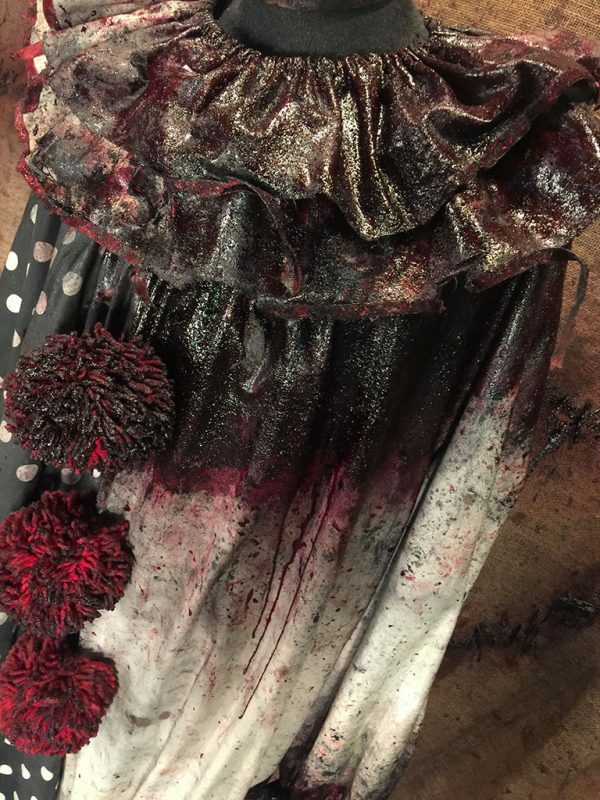 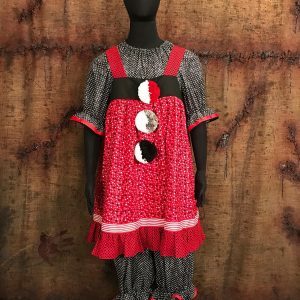 This highly detailed costume also includes fingerless burnet and bloody gloves. 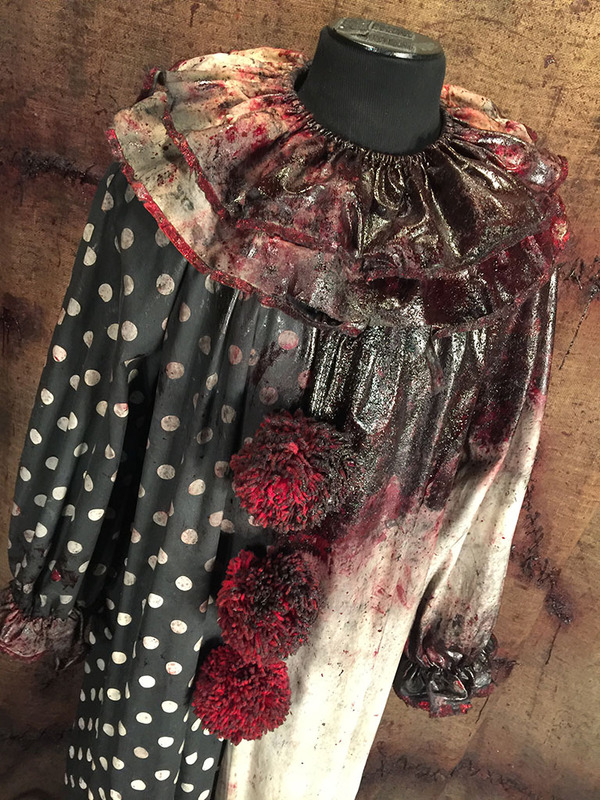 Custom sizes (smaller than M or larger than 2XL) will incur an additional $50 fee.